Steve’s initial background included a series of management/director level roles within the Chemicals and Financial Services sectors. This involved a raft of work in the fields of leadership, talent management, change and safety. This included developing and implementing behavioural frameworks and leading culture change programmes. In the early nineties Steve established Glowinkowski International. The organisation now operates internationally across sectors, providing consultancy and research based services within the fields of behaviour, culture change and performance improvement. Steve has experience in the assessment/development of senior executives. He has conducted extensive research into the question of what differentiates outstanding performance at the level of the individual and organisation, which has been implemented in a wide range of organisations globally. Steve has published as an author and co-author in numerous academic and business publications. 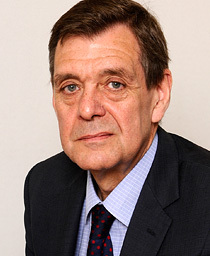 He is an Honorary Professor at the University of Essex Business School and Institute for Democracy and Conflict Resolution, and a Visiting Research Professor at Glyndŵr University. Steve is also co-founder and chairman of the Gillson Partnership which is a consulting and talent analytics firm based in Southern California. Steve is also a Chartered and Research Psychologist by background and over the last 20 years has developed a series of frameworks which both define and measure/assess individual values, motives, predisposition and culture. In addition to his consultancy activities Steve spends considerable time accrediting and licensing fellow change and HR practitioners in the use of these methodologies.